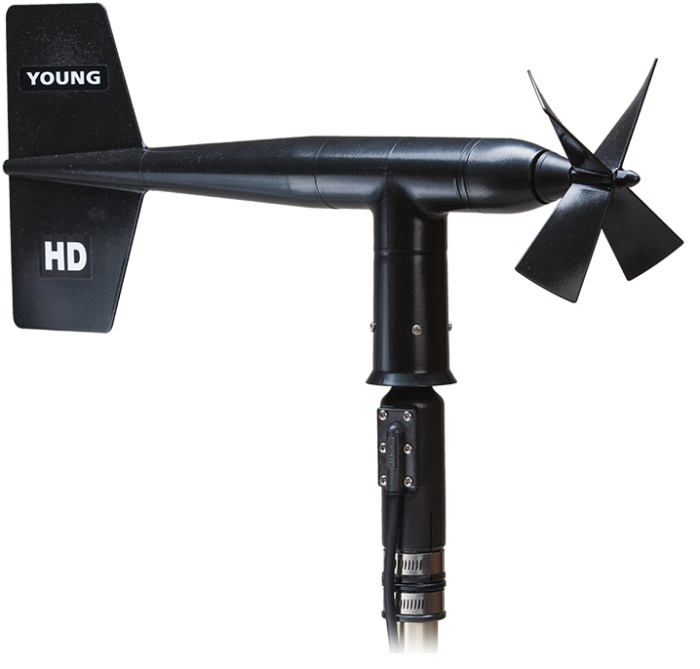 The 05108-45 Wind Monitor-HD is a lightweight instrument that measures wind speed and wind direction. It is designed to prevent ice buildup, allowing the sensor to provide you with accurate measurements in harsh alpine conditions that have limited accessibility. Manufactured by R. M. Young, this wind monitor is cabled for use with Campbell Scientific data loggers. 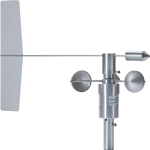 The 05108-45-L Wind Monitor-HD is made from rigid UV-stabilized thermoplastic with stainless steel and anodized aluminum fittings. The thermoplastic material resists corrosion from sea air environments and atmospheric pollutants. To make it more durable, the HD uses extremely long-wearing, oversized ceramic bearings to increase service life many times longer than standard stainless-steel bearings. The wind monitor's ceramic bearings are resistant to corrosion in environments that are hostile to steel bearings, making the 05108-45-L suitable for harsh alpine applications. To discourage ice buildup, the sensor's housing is black and covered with an ice-resistant coating. The HD also has an oversized propeller shaft, high-pitch propeller, locking propeller nut, and sealed, heavy-duty cable pigtail instead of the standard junction box—all features that further enhance the long-term reliability of the sensor. The 05108-45-L measures wind speed with a helicoid-shaped, four-blade propeller. 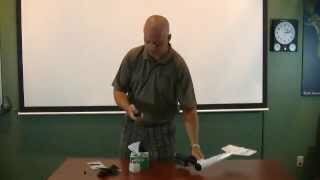 Rotation of the propeller produces an ac sine wave that has a frequency directly proportional to wind speed. The ac signal is induced in a transducer coil by a six-pole magnet mounted on the propeller shaft. The coil resides on the non-rotating central portion of the main mounting assembly, eliminating the need for slip rings and brushes. The 05108-45-L can be attached to a crossarm via a 17953 Nu-Rail Crossover Fitting or CM220 Right-Angle Mounting Bracket. Alternatively, it can be attached to the top of a CM106B or stainless-steel tripod via the CM216 Sensor Mounting Kit. The 05108-45's propeller is measured by the PulseCount Instruction in CRBasic and by Instruction 3 (Pulse Count) in Edlog. The wind vane is measured by the BrHalf Instruction in CRBasic and by Instruction 4 (Excite-Delay-SE) in Edlog. The measurements are typically processed for output with the Wind Vector instruction (not present in the CR500 or CR9000 but present in the CR9000X).